We start the new term by welcoming three new Canadian teachers Tyler, Graham and Allie. 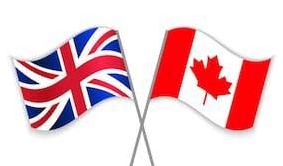 Teacher recruitment is particularly difficult in the UK, as a result we went to Canada. Canada is a particularly good hunting ground given their world class education system. We know that our brilliant staff team will offer them all the support they need to help them thrive in this challenging, but rewarding, environment. Buckinghamshire County Council plan to send two Headteachers to Australia on a recruitment trip shortly, so it is good to know that we are already ahead of the game.